Daryl Townsend lives in Middleburg, Florida, just south of Jacksonville. 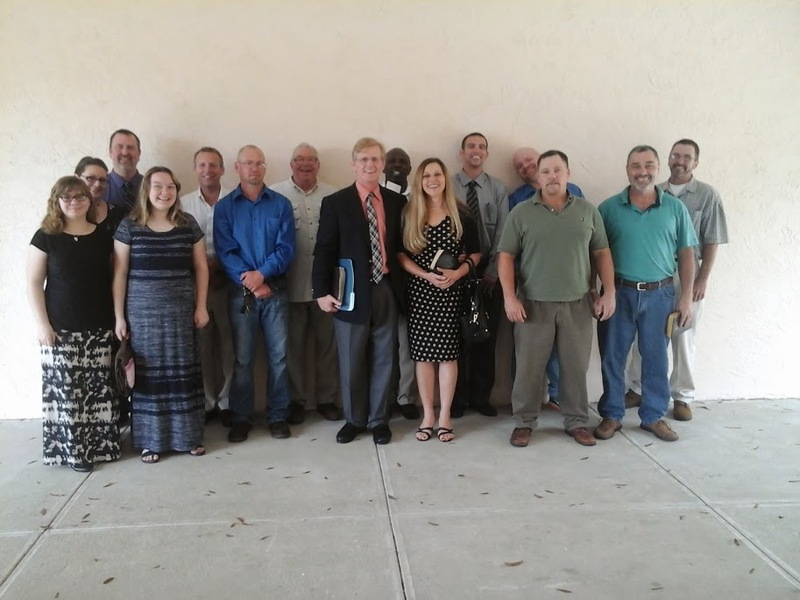 A lifelong member of the church of Christ and affiliated with the congregation in Middleburg for over 20 years, he has been teaching and preaching in Florida Prisons since 2004. He began doing prison ministry full time in December of 2005 and is currently being supported by about seven congregations of the Lord’s church. Our group at Anthony began helping with Daryl’s support in 2008 and have been impressed with his dedication to God, his tireless work ethic and the success he is having in changing lives in the name of Christ. Daryl works primarily in prisons in the NE Florida area, including the Florida State Prison at Raiford, particularly the Reception and Medical Center, Union Correctional Institution in Lake Butler, Baker Correctional Institution in Sanderson and the Lawtey Correctional Institution, the state’s only men’s faith and character-based prison, which is located near Starke. Daryl teaches classes, conducts worship services, does individual and group Bible studies and performs individual and group counseling, developing close relationships with inmates who desire to change their lives through Christ. He has baptized between 30 and 60 men per year since 2005. Daryl and his wife, Missy, also operate two transition houses to help men that were converted in prison get started in the free world once they are released from prison. They offer free room and board until men are able to find employment. The men who are invited to live in the transition houses are baptized Christians and living with other men in similar circumstances provides ongoing accountability, continued counseling and Bible studies, plus an opportunity to assimilate into the local church community. Daryl offers the use of an automobile provided by the not-for-profit 501 (c) (3) organization called Off The Chain Ministries. Off the Chain helps provide for the needs of released men and covers expenses related to the work. 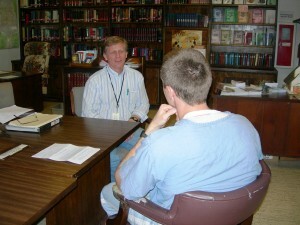 The two living facilities have the capacity to serve about 10 men in the transition program. Daryl’s primary purpose with this program is to continue to help these men grow and mature in Christ outside of prison. Funding for the transition program is provided by the generous donations of individuals. You can donate to Off The Chain Ministries with no out of pocket expense by signing in with smile Amazon. Anytime you order from Amazon .5% will automatically be donated. A great way to help with no extra charges! Below is a link to get you started. smile.amazon.com.On your first visit to AmazonSmile (smile.amazon.com), you will be prompted to select a charitable organization from the list of eligible organizations. Just chooseOff The Chain Ministries. For every purchase you make, Amazon will donate .5% of your purchase price to the ministry. It doesn’t cost you anything additional. What a great way to help the work. Remember, you must log into smile.amazon.com every time. BOOKMARK this today!